Dimensions 0.39 by 6 by 9 in. Amazon.com description: Product Description: Jim Hawkins has led an ordinary life as an innkeeperâs son until the day he inadvertently discovers a treasure map in a trunk belonging to an old sea captain, and thus, suddenly, his ordinary life turns into the extraordinary adventure of a lifetime. Jim and his companions decide ato follow the map to the coast of South America to find their fortune, but their plans run awry when they discover that the shipâs crew is comprised primarily of pirates â out to claim the treasure as their own! 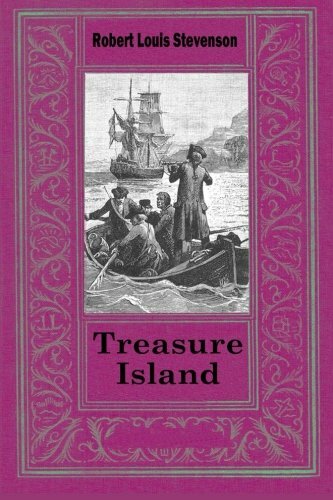 If he ever wants to return home, Jim must outsmart Long John Silver and his gang, using all the cunning he can muster to come up with a plan to defeat the pirates, and to find the treasure. Includes unique illustrations.